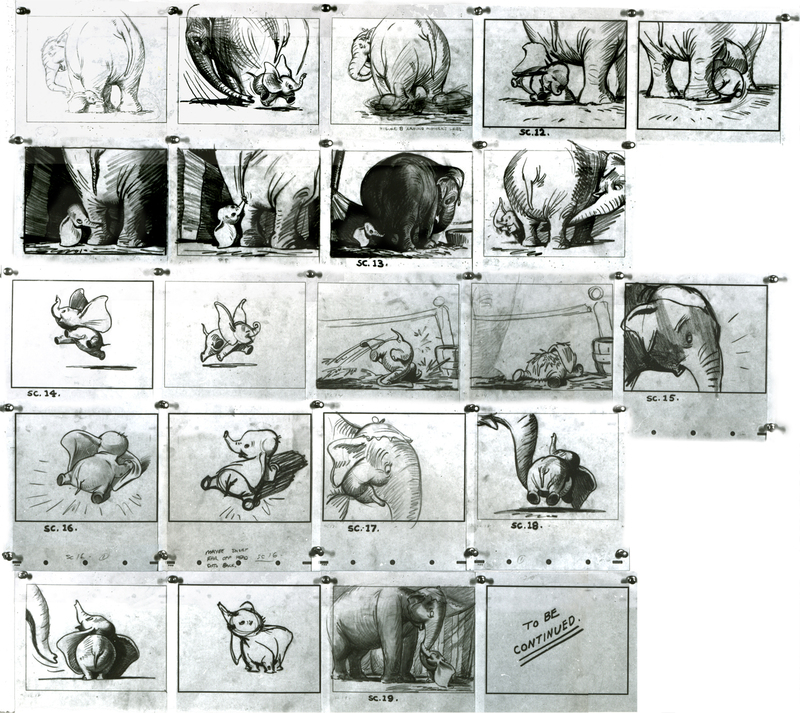 The artist who drew this beautiful sequence for the film Dumbo is Bill Peet. The playful interaction between the baby elephant and his mother is what you would call "Disney Gold". It sets up the bond between a mother and her child. Peet thought of everything to make this section cinematic and entertaining. Staging and continuity are perfect, and the characters are drawn 100% on model. 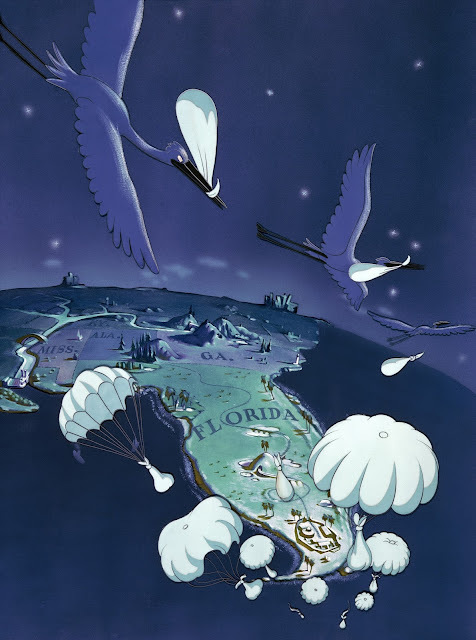 Which brings me to a story that's been going around Disney for a while. Most of you might know that Bill Tytla animated the sequence, but way back during production Peet was not too happy the way Tytla drew little Dumbo, somewhat off model. The word is that Peet drew over Tytla's rough keys to make the character look like he appears in his story drawings. I'm not sure if this really happened, but I wouldn't be surprised. After all, Fred Moore re-drew some of Tytla's animation for Snow White's Grumpy. A fantastic image from the film's opening sequence. An original cel combined with a studio prepared Courvoisier background. 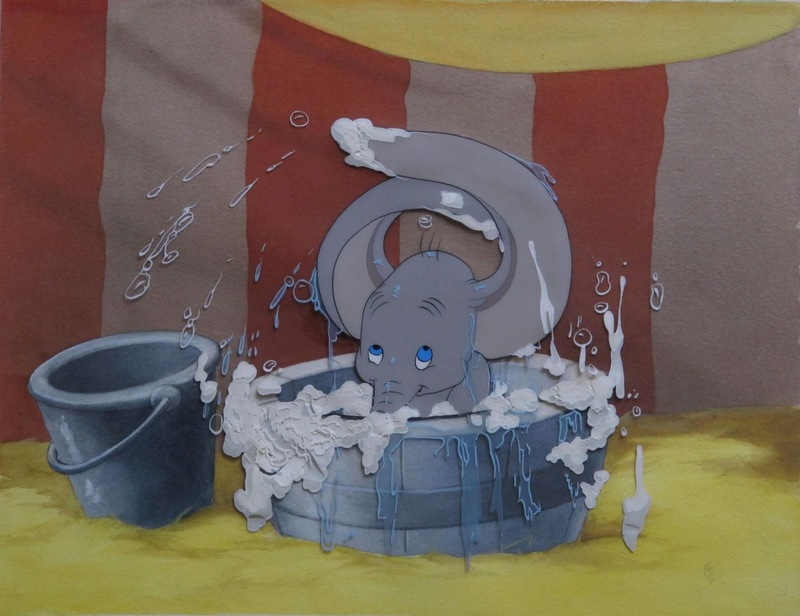 The kind of set up that Disney offered for sale. 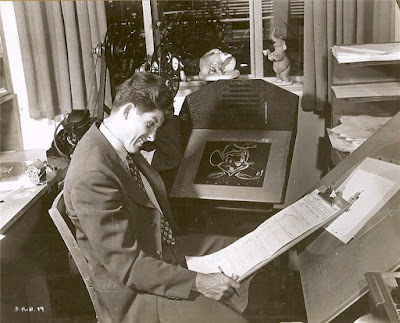 Animator Milt Neil acts out frustration for a studio photographer, as he examines an exposure sheet for a scene with Timothy, the Mouse. 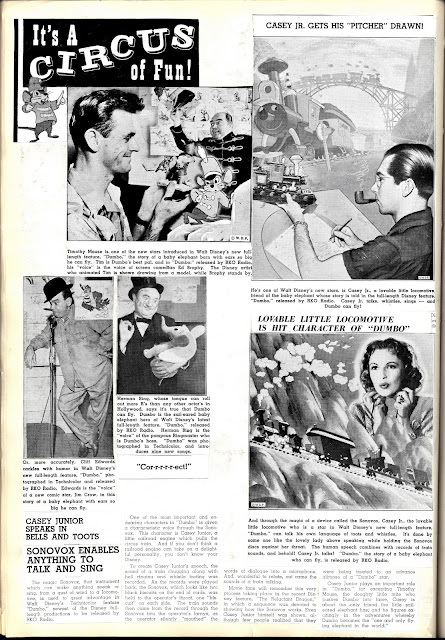 A fun article that was published in 1941to promote the film's release. The second page shows a photo of inker Phyllis Bounds, who happened to be Walt's wife Lilian's niece. 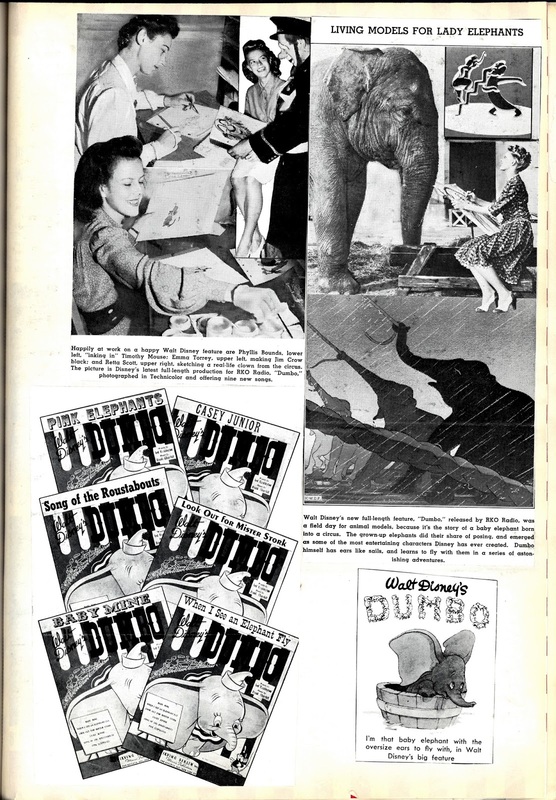 Years later she would become Milt Kahl's second wife.